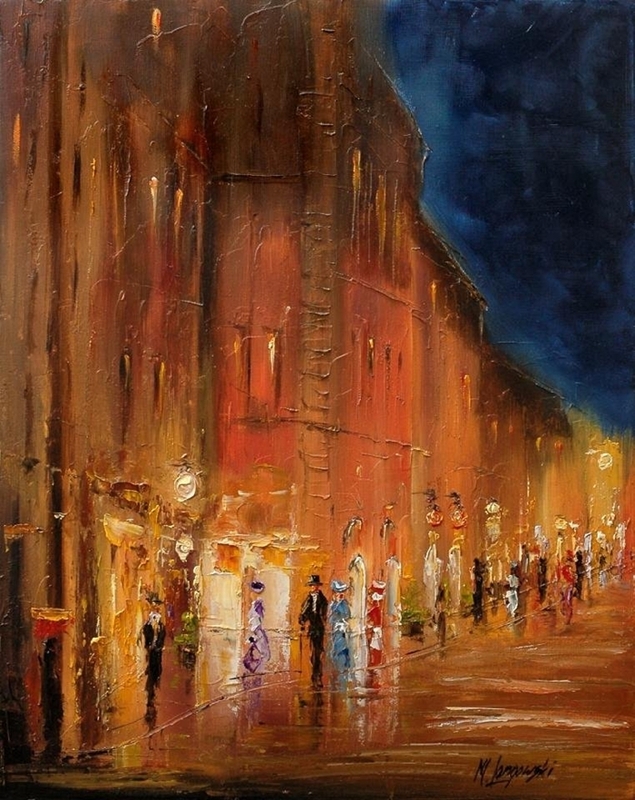 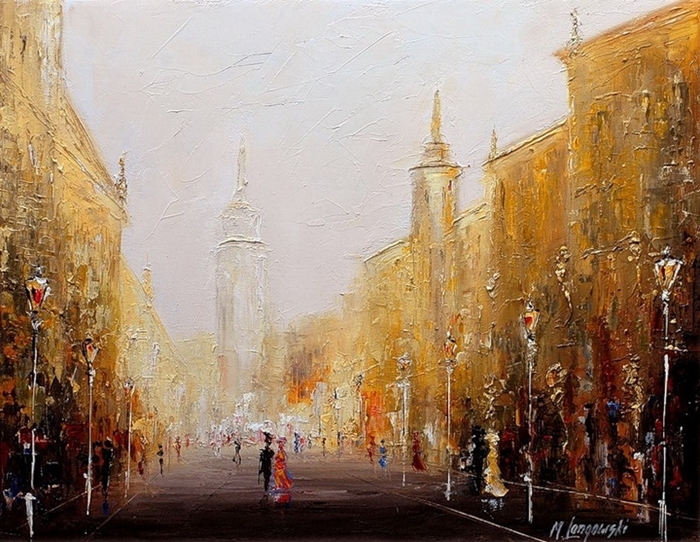 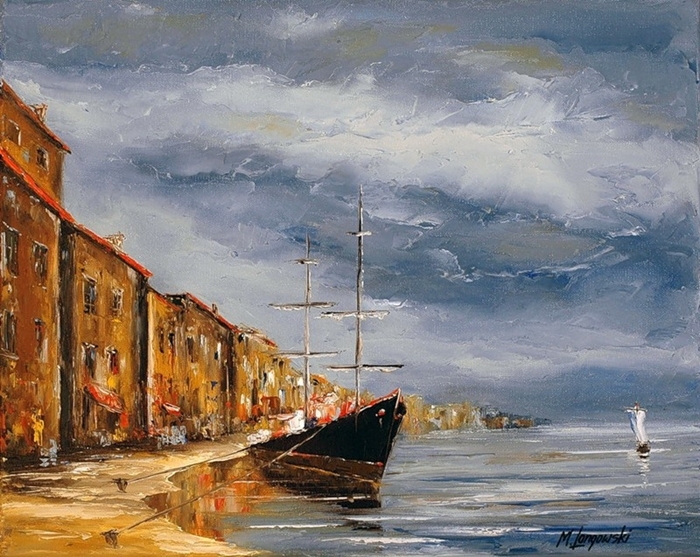 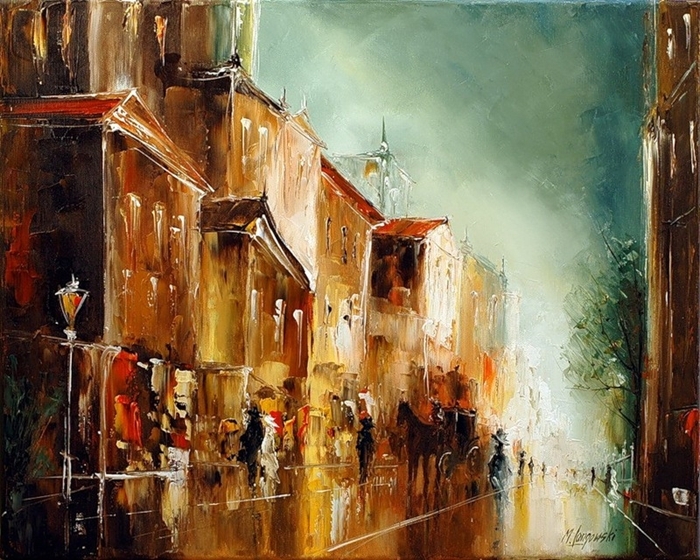 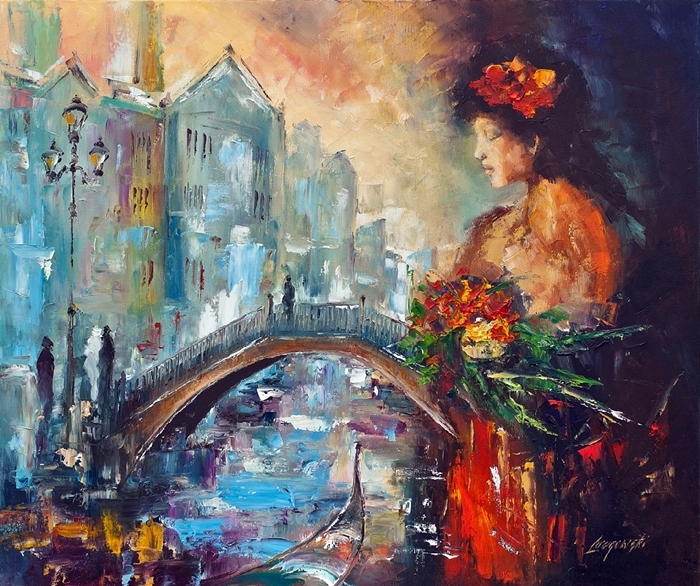 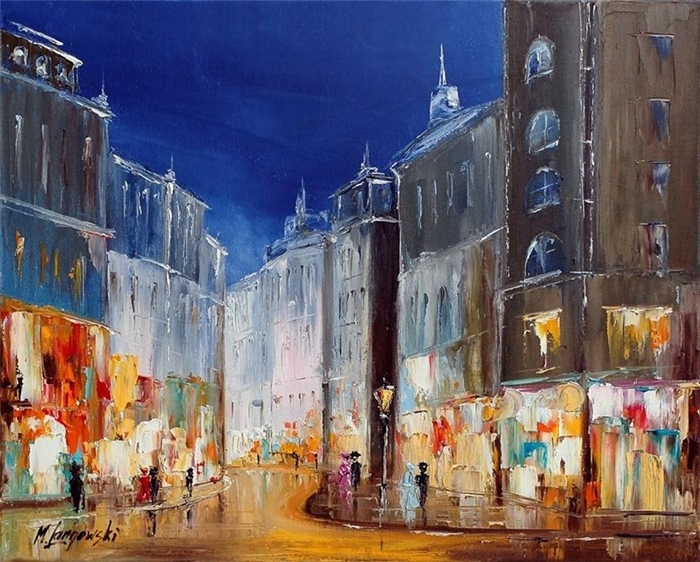 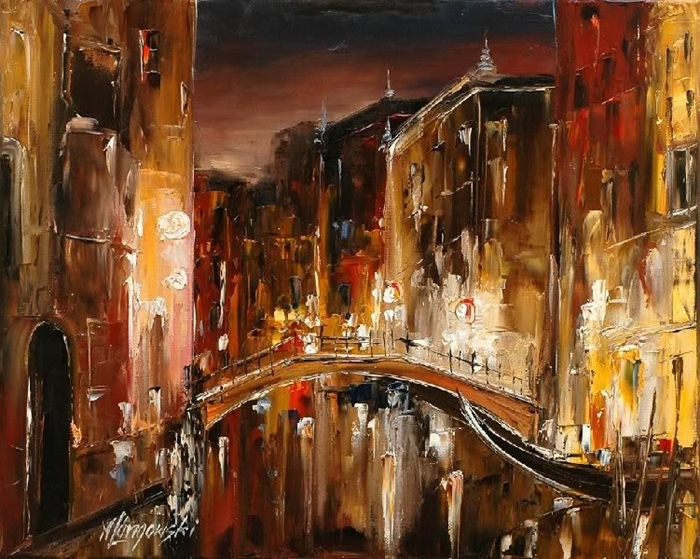 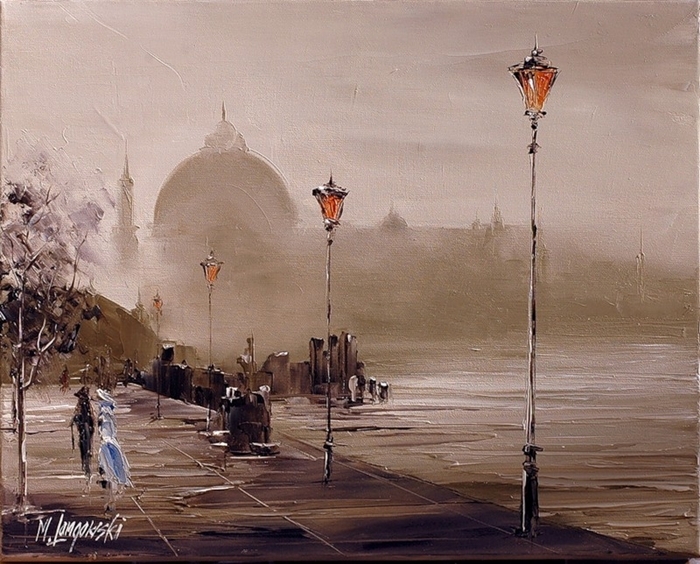 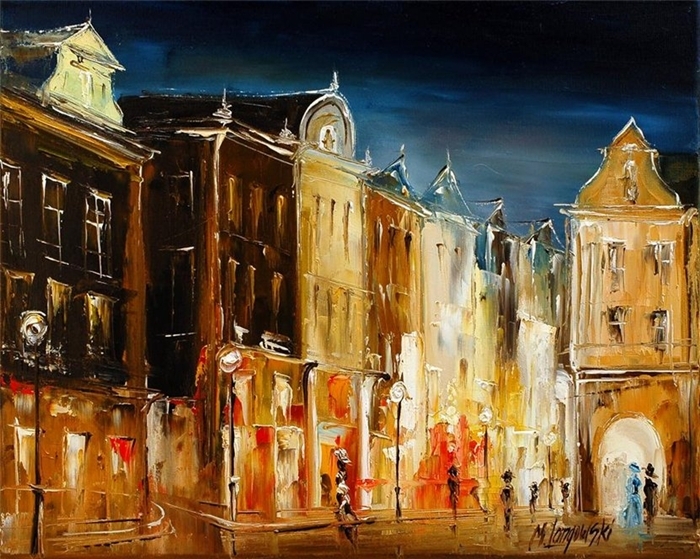 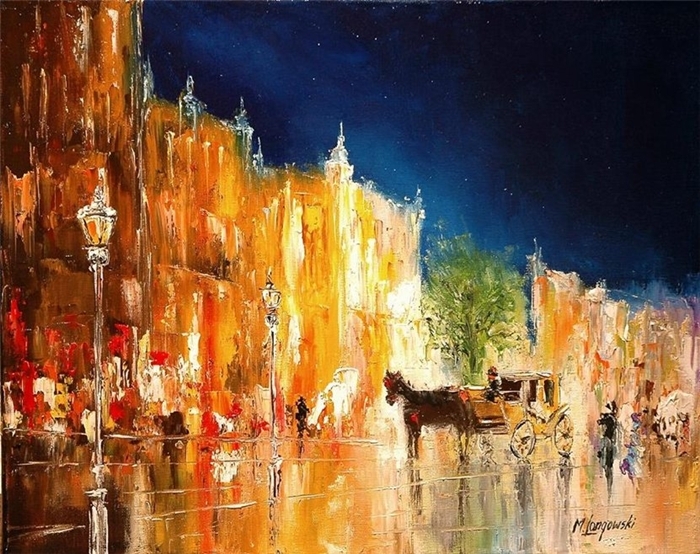 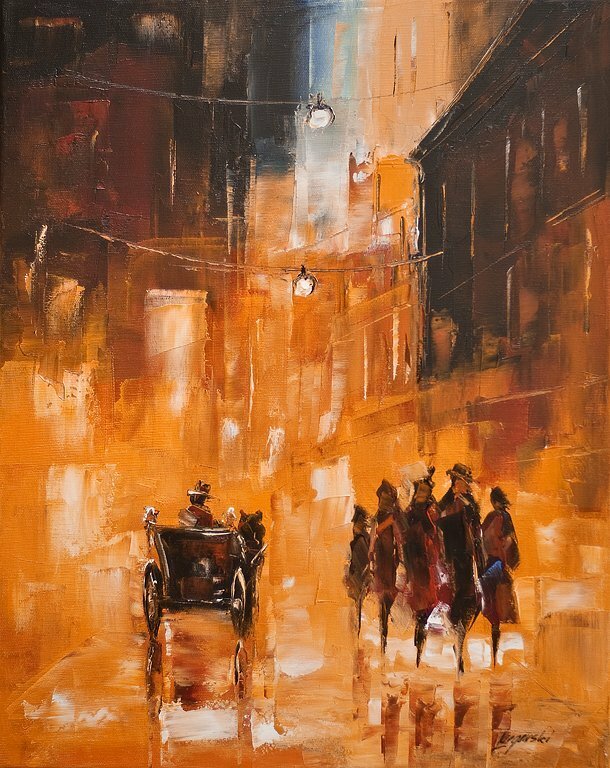 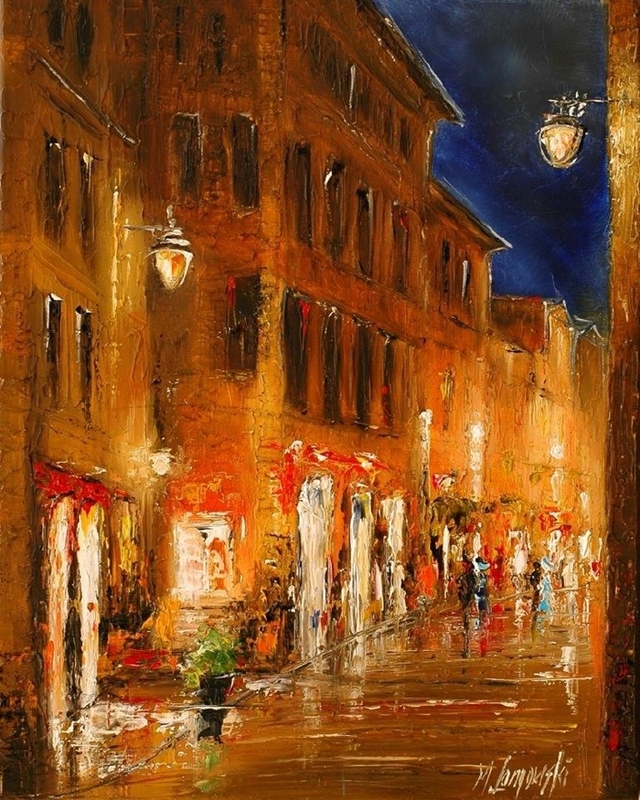 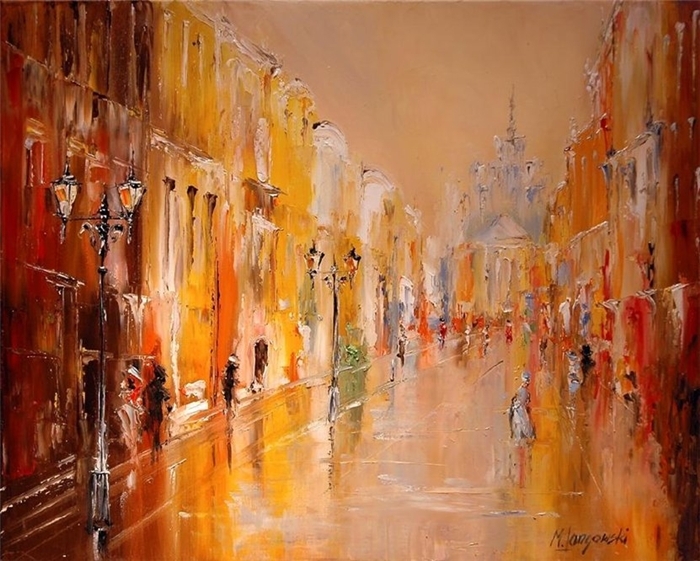 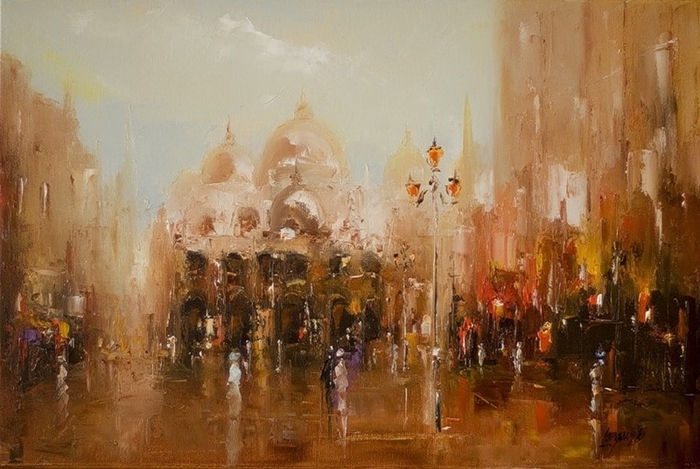 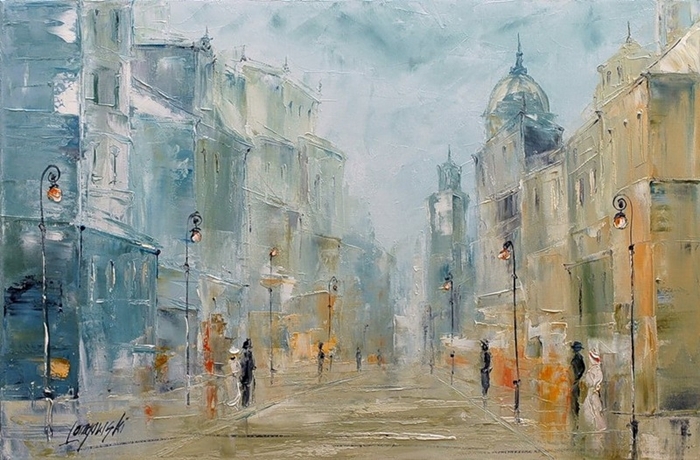 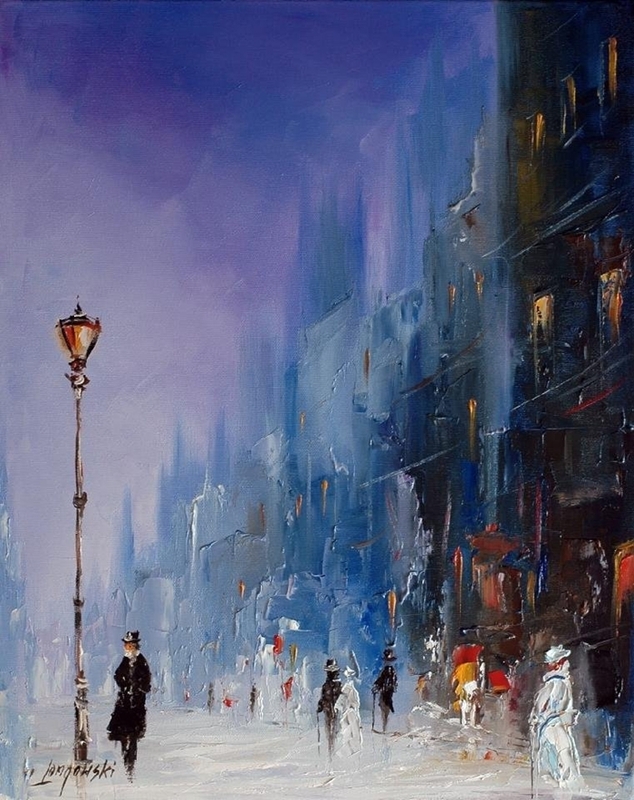 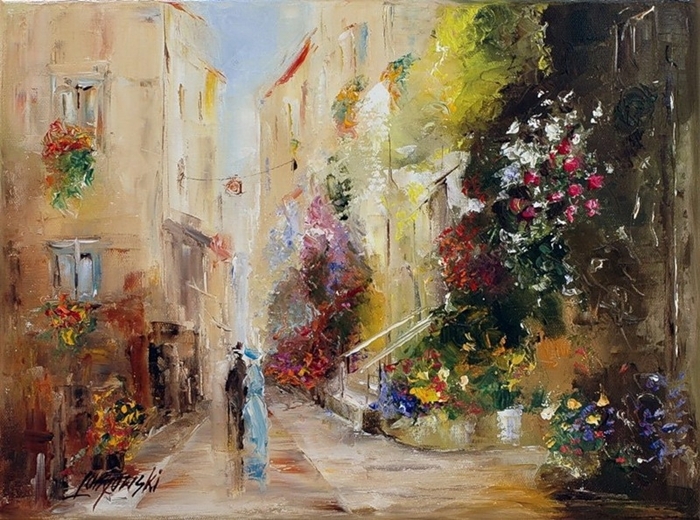 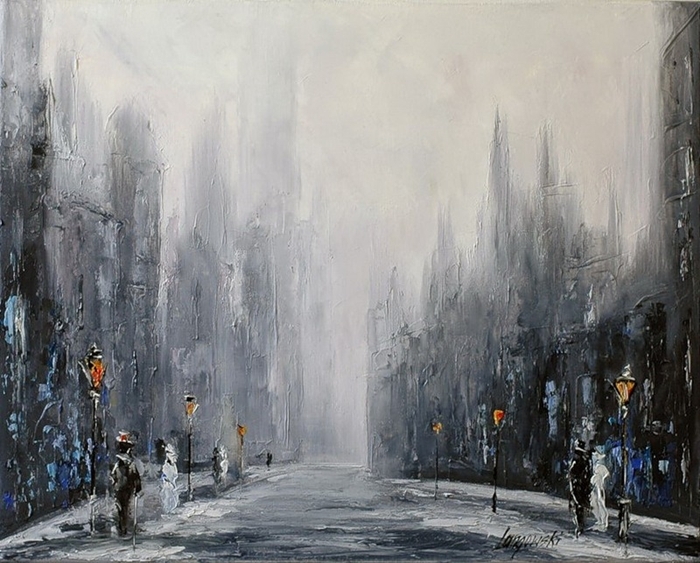 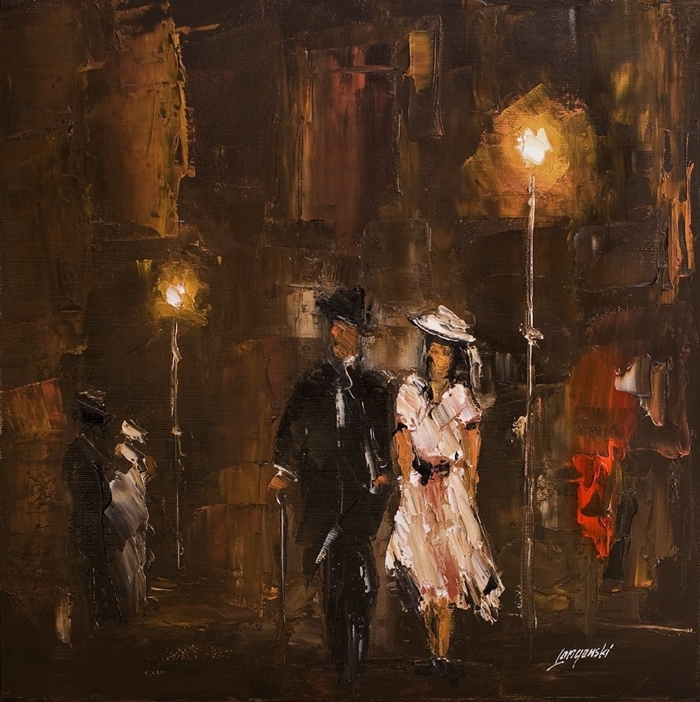 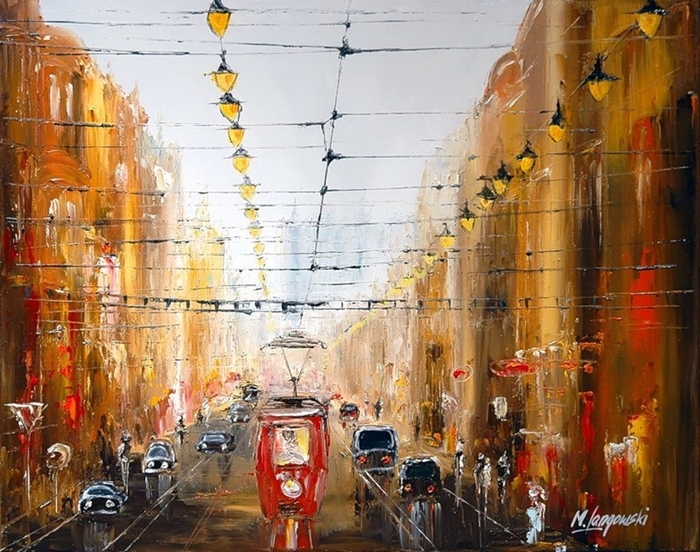 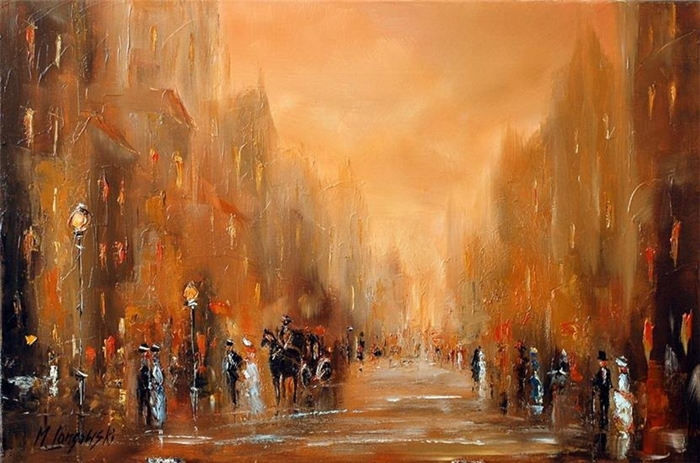 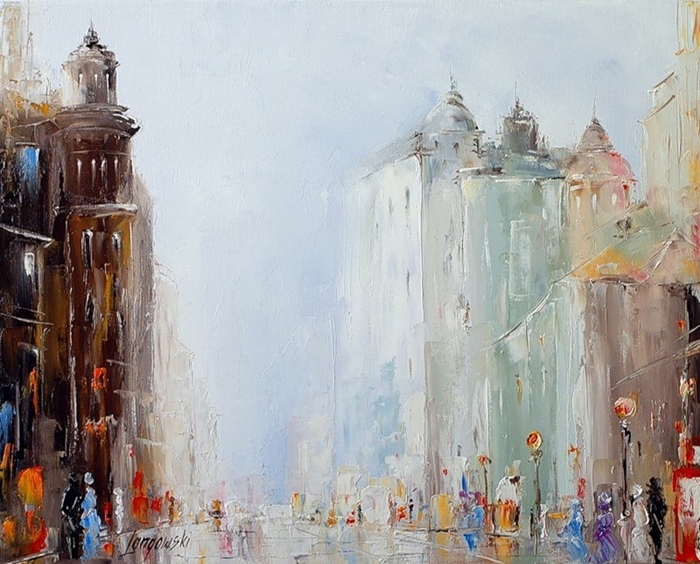 Marek Langowski is a polish painter, who is creating his works since 1981. 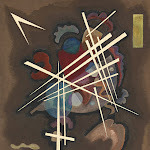 You can find his pieces all around the world. 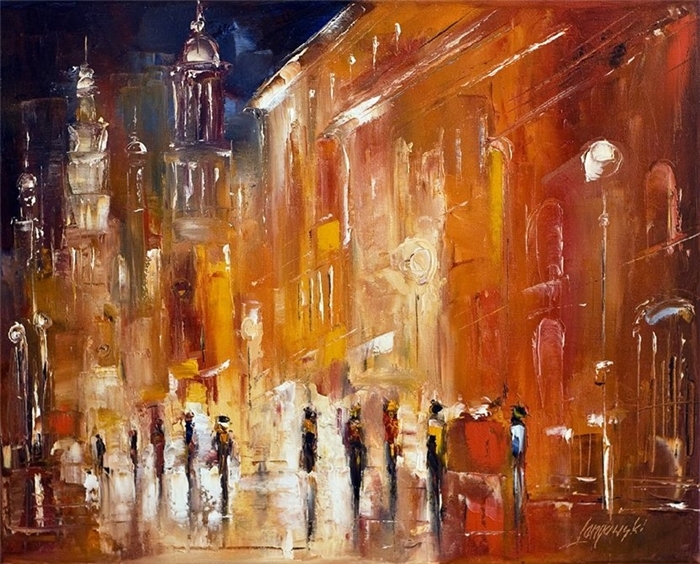 Marek was born in Aleksandrow Lódzki. 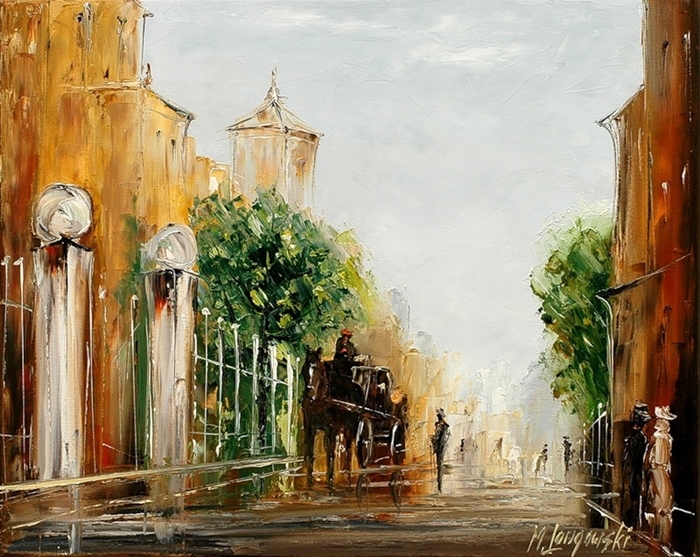 He lives and works in Belchatow, near Lodz. 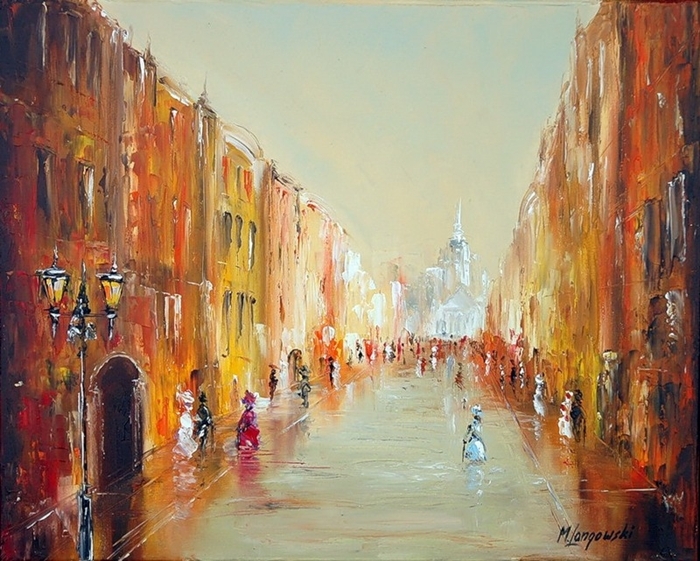 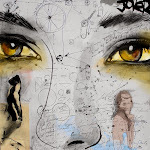 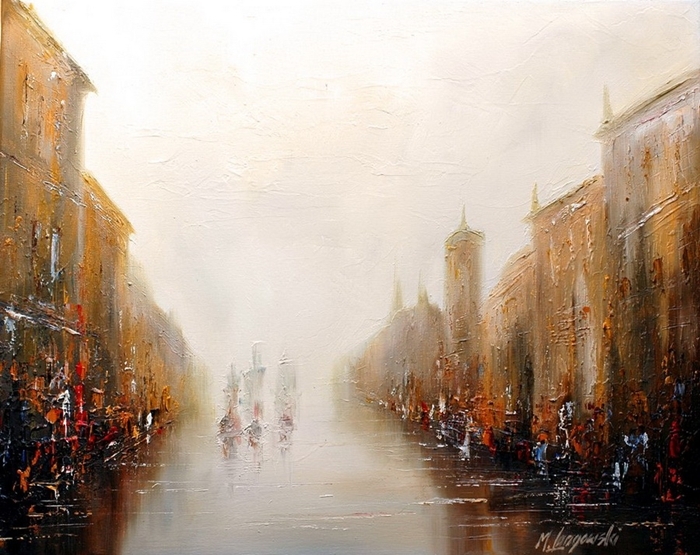 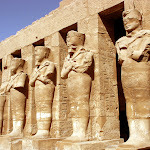 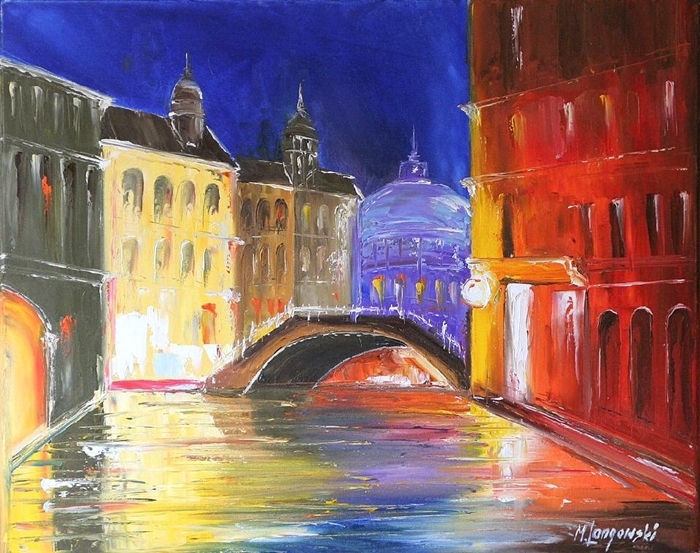 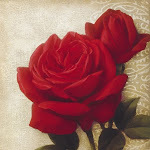 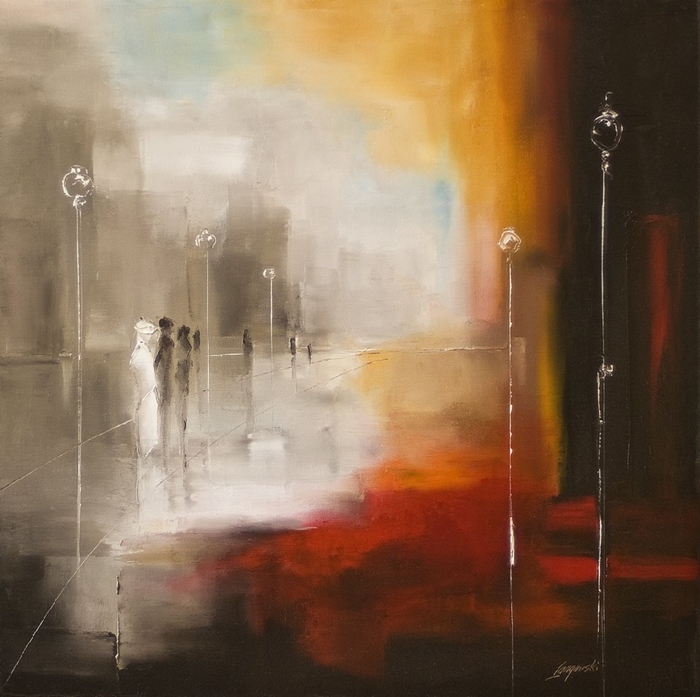 The biggest passions of Marek are family loving, painting and photography. 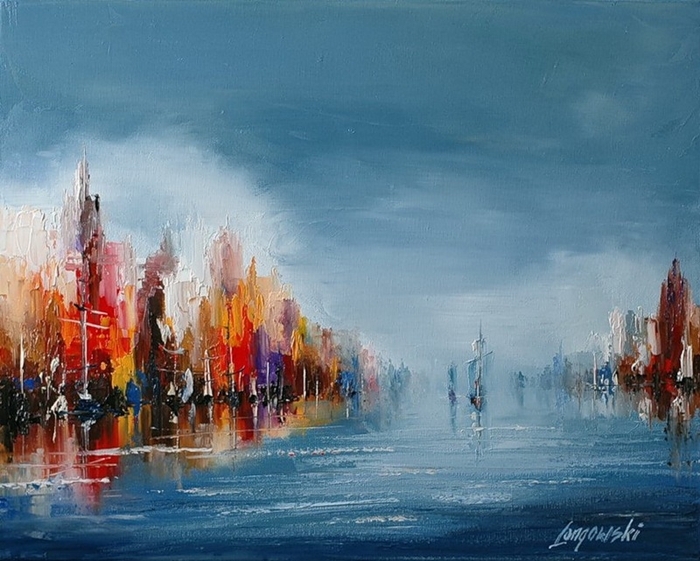 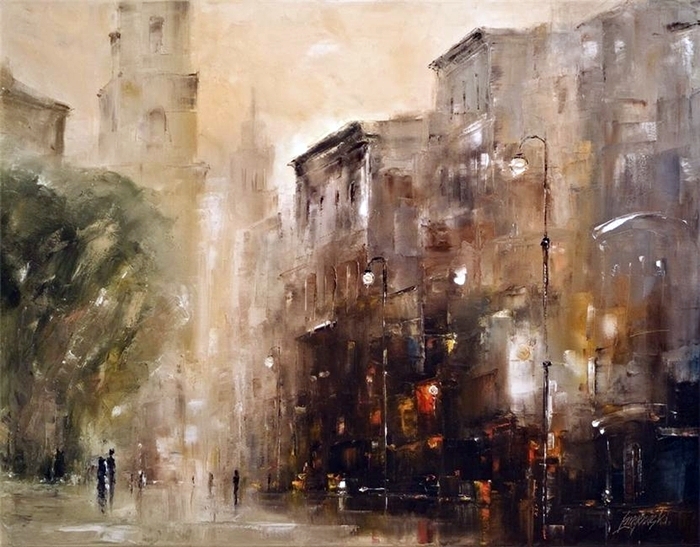 Langowski is a genuinely talented painter who uses a variety of techniques in order to create these incredible works. 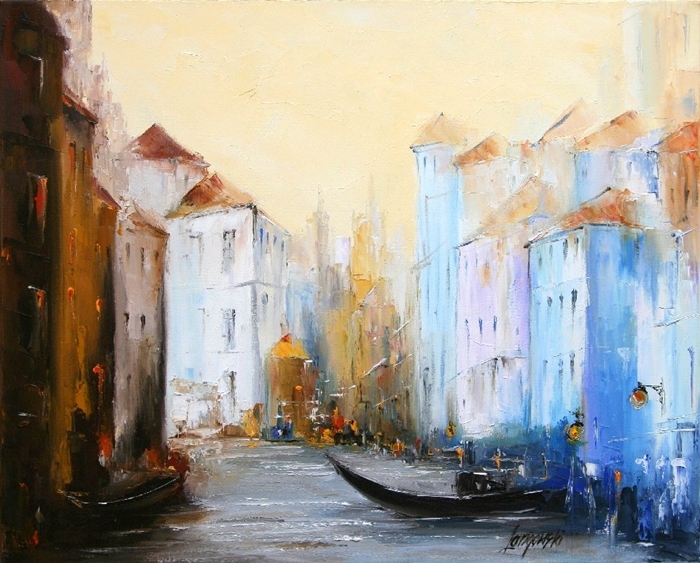 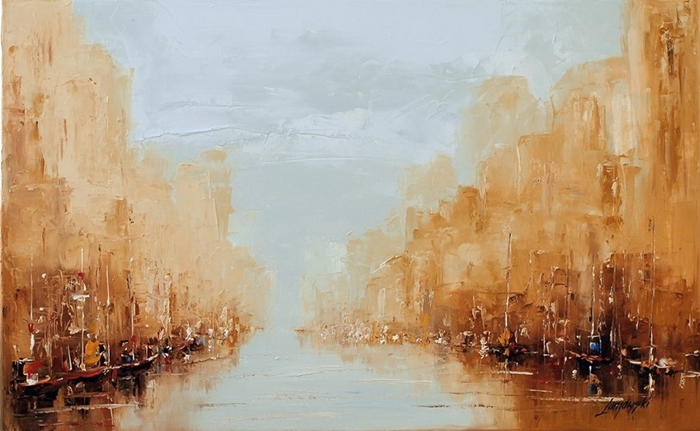 Wonderfully crafted scenes of the Venice lagoon shimmer with the dance of light on the canal surface. 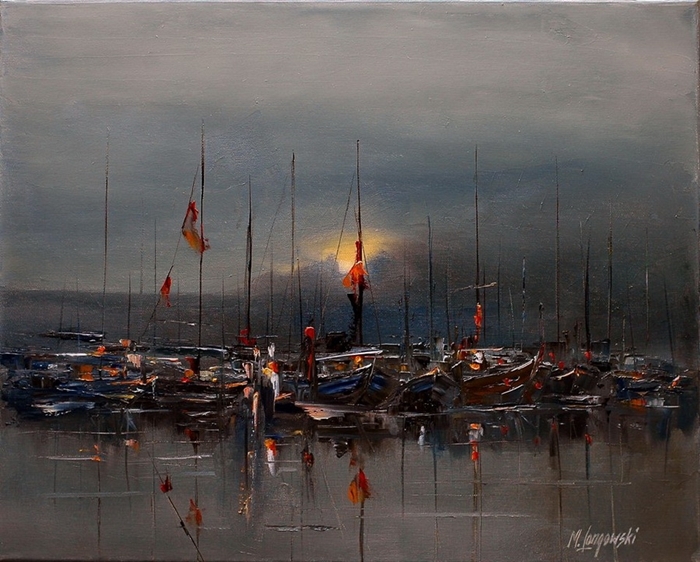 Boats are illuminated by the golden glow of streetlights to create a glorious canvass. 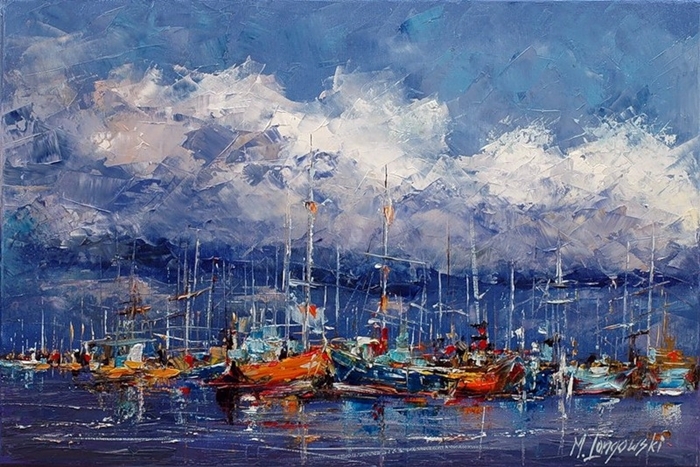 His seascapes contain every flick of light, caught fleetingly on the temporary crest of a wave as the boats hold their solid forms in front of the dissipating sunlight. 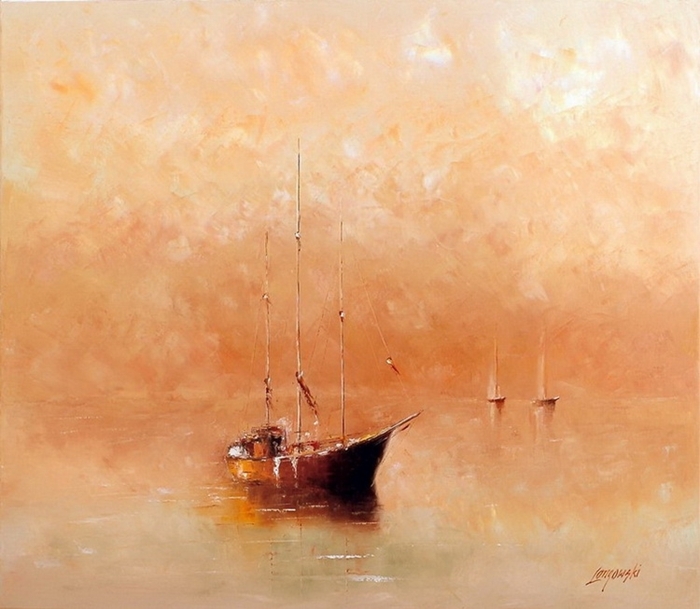 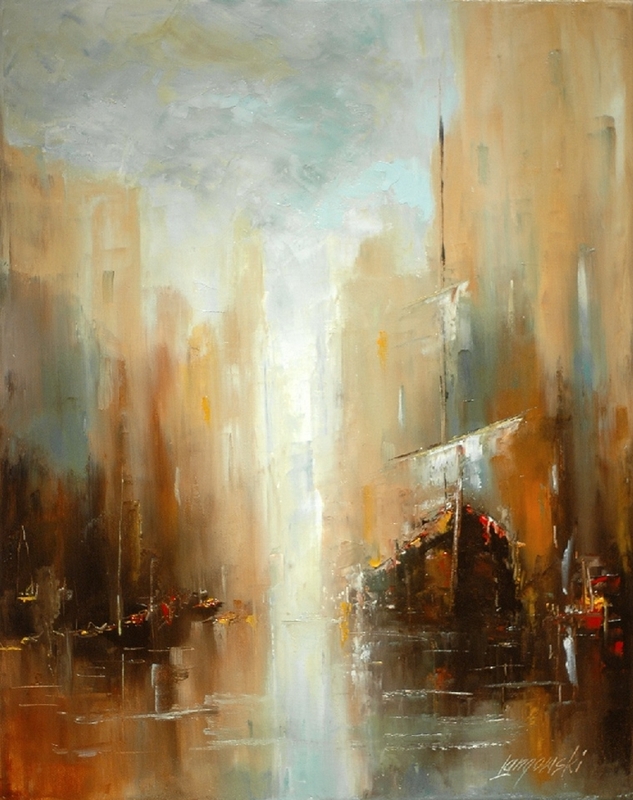 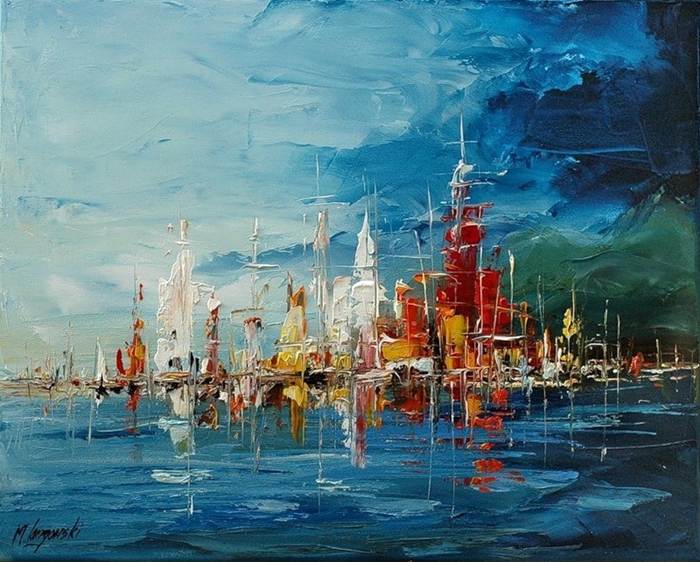 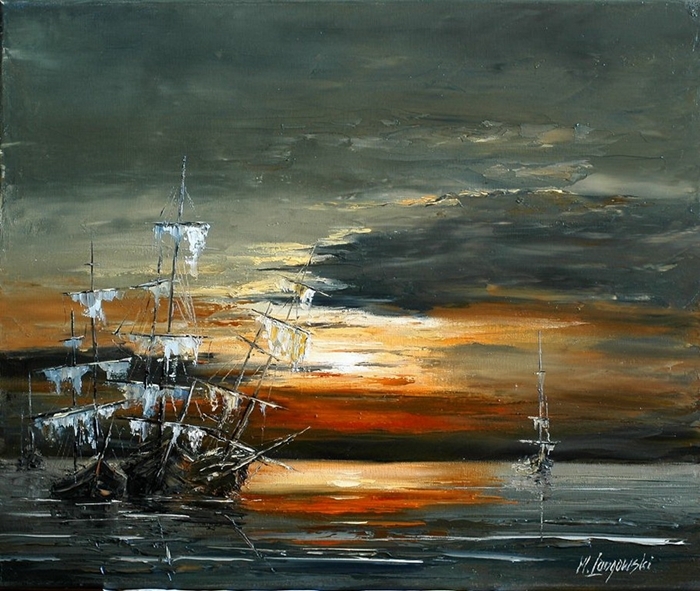 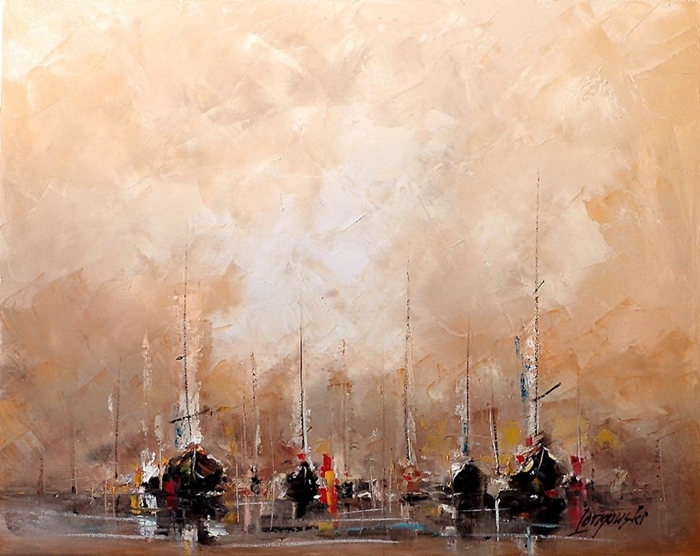 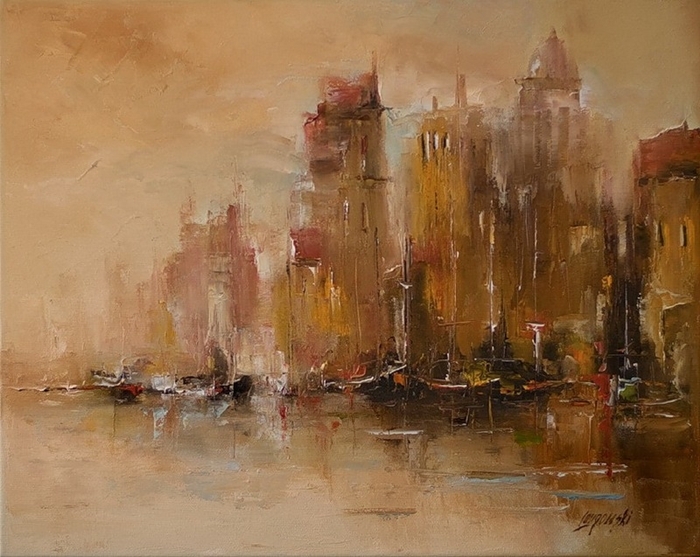 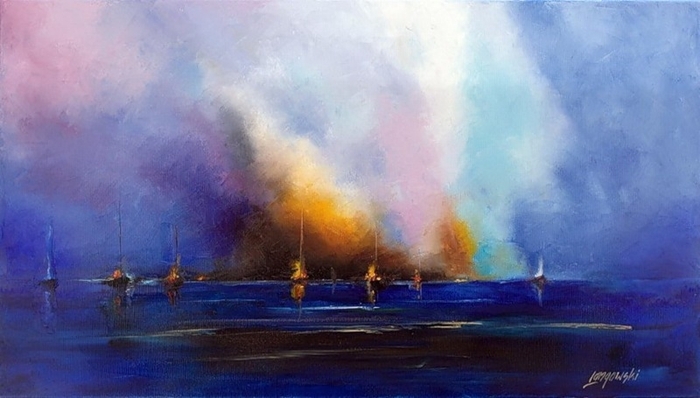 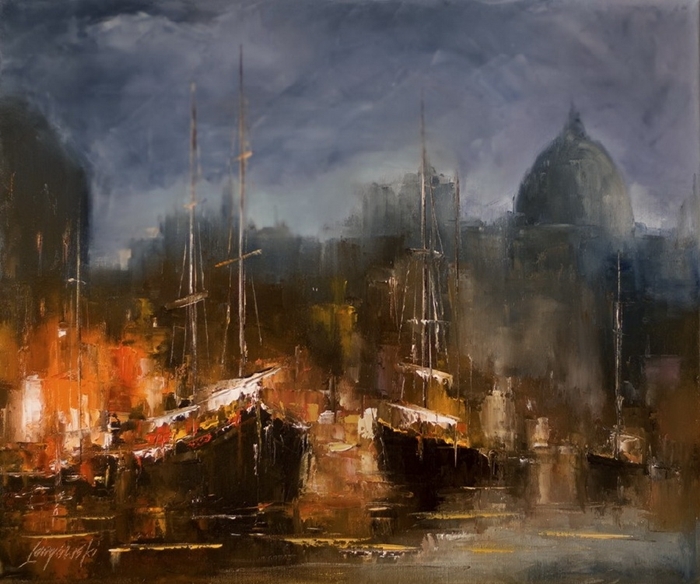 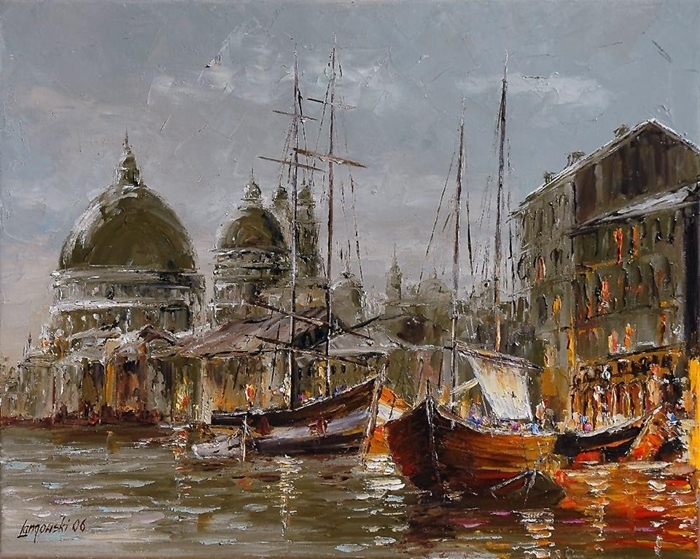 In some works he faithfully captures the shape and grandeur of the masts and sails, in others he allows the light to take over in a more impressionistic style.